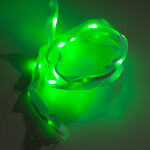 Sewable LED Ribbon is quite possibly one of the easiest ways to incorporate simple illumination and color effects into your next e-textiles project! 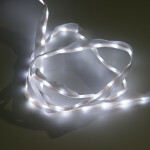 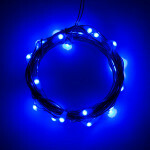 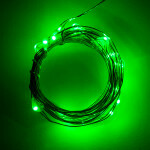 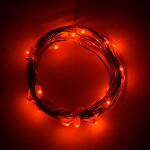 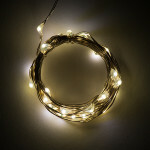 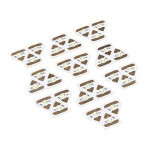 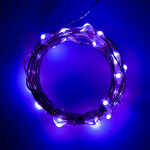 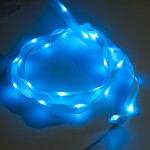 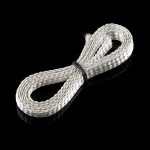 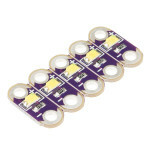 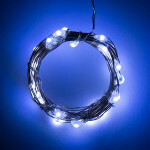 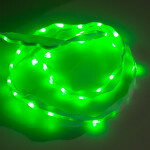 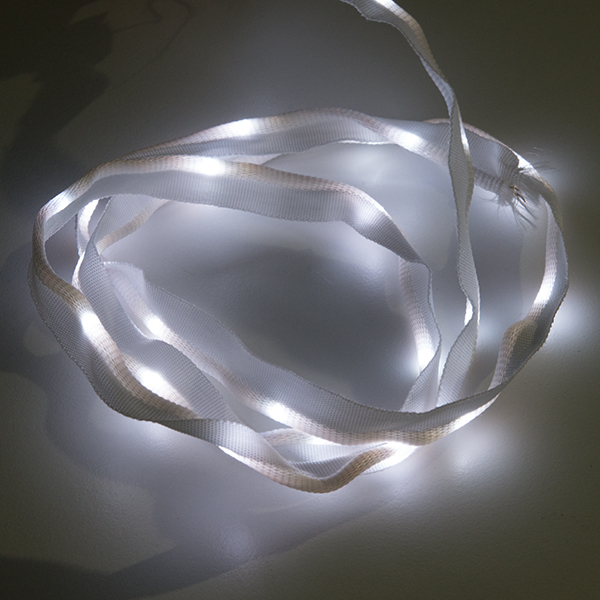 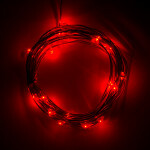 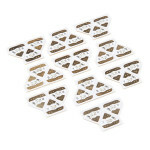 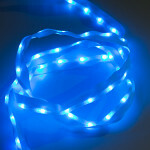 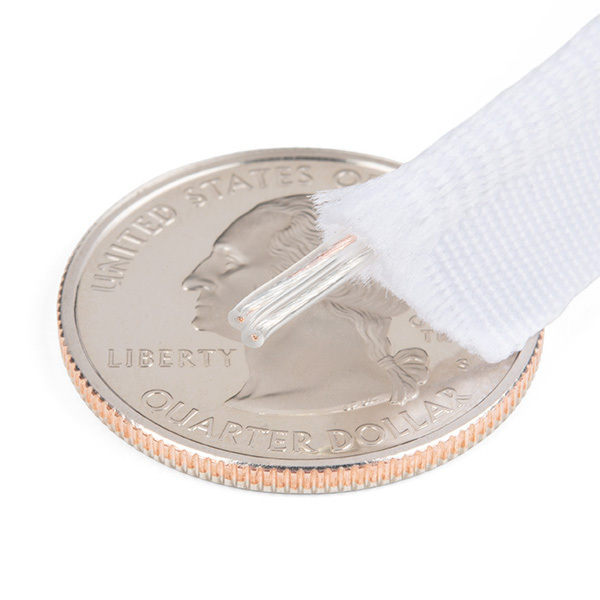 Each strand of this ribbon is a meter long with 25 small white LEDs. 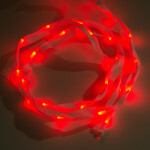 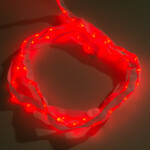 These LED ribbons are highly flexible, foldable, and can even make knots. Unlike traditional LED strips, the LEDs in these ribbons have 360 degrees of luminosity, so you can see them no matter how they are positioned or sewn! 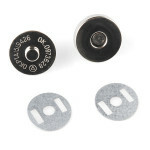 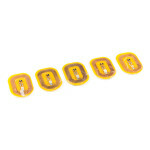 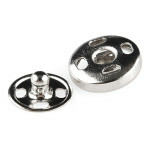 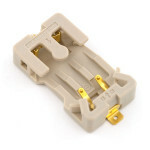 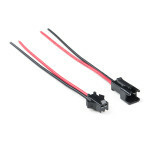 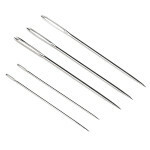 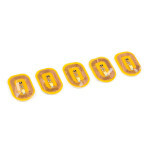 These 2-pin JST-SM pigtail connectors mate perfectly with LED strips and other applications that req..